Crown The Empire on new singles and Warped Tour. 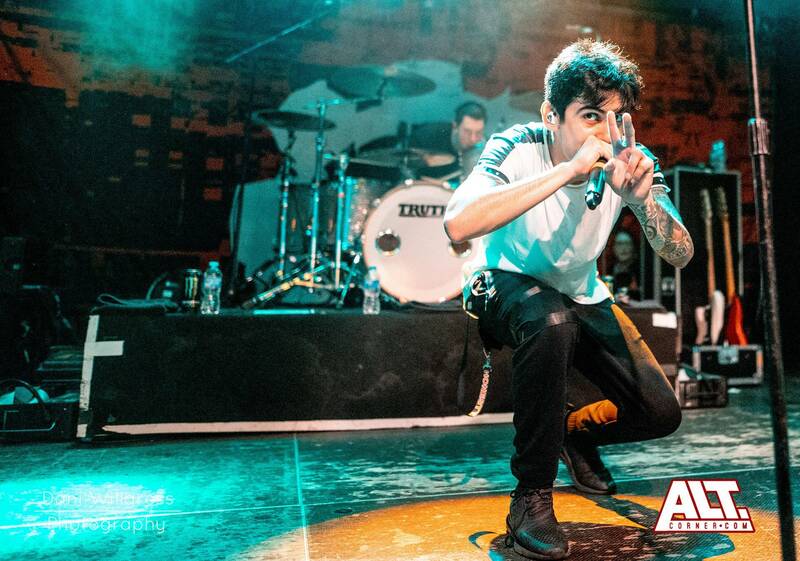 In Crown The Empire’s dressing room, we caught up with members lead singer Andy Leo and bassist Hayden Tree about their latest singles, Warped tour and life on tour. How was the Bristol show last night? Was that some of the worst that’s happened whilst playing a show? How is it touring with Volumes and Cold Rain? You’ve just released single What I Am, what was the inspiration behind it? Hayden: “It’s a hard decision but better yourself”. What was it like recording the video for the single? You’ve just released another single 20/20 does this mean we could be seeing a new EP or album in the near future? What was it like playing the last run of Warped Tour? Do you have any favourite memories of the festival? What was the best set you caught at Warped Tour? What’s it like getting to tour with them? What’s the funniest thing to happen whilst on tour? “What I am” Whispers Brandon (Hoover, guitarist) who has snuck into the dressing room. Who’s the messiest on the tour bus? What do you miss most when you go out on tour? Andy: “Humans that care about me, just joking” before laughing. Who has the most annoying habits on tour?